A low-glare panel luminaire for offices and public spaces. This remarkable optical solution guarantees low UGR values for application in various spaces. A streamlined design with particular attention paid to making it an inconspicuous source of light that blends into its surroundings. The frame is made of white-painted steel. LU Panel is designed for offices, classrooms and public spaces. Excellent for installation on T-profile ceilings. Cost-efficient installation enabled by chainable connections. 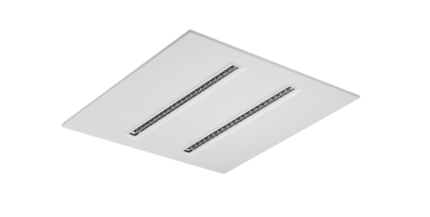 Energy-efficient, low-glare panel luminaire for T-profile ceilings. Connections to terminal block box with cable clamp max 5*1.5mm2 (supports chained connections). 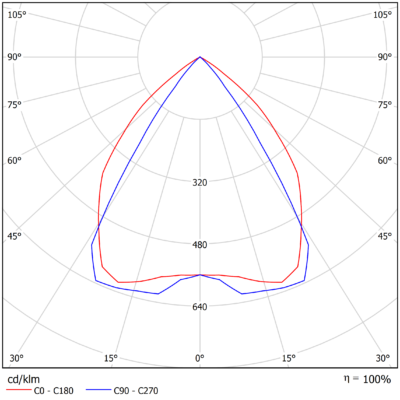 All values in +25°C ambient temperature, luminous flux tolerance +-5%, output power tolerance +-5%.